Tuesday evening’s Literary Firsts hit all the notes I want from a reading—it made me think, it made me laugh, it made me sigh. The readers were at the very top of their game, and I was thrilled to hear them share their work. 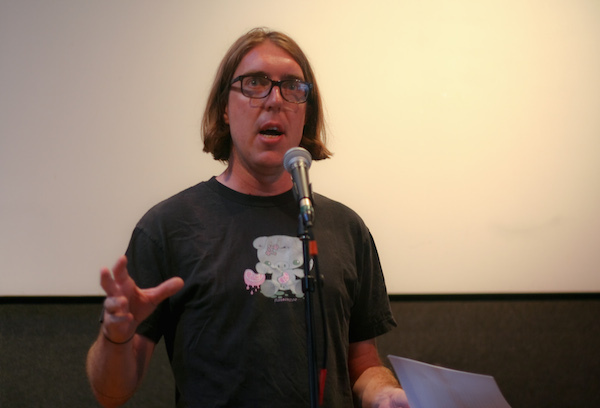 Jeremy P. Bushnell reads from his novel-in-progress. 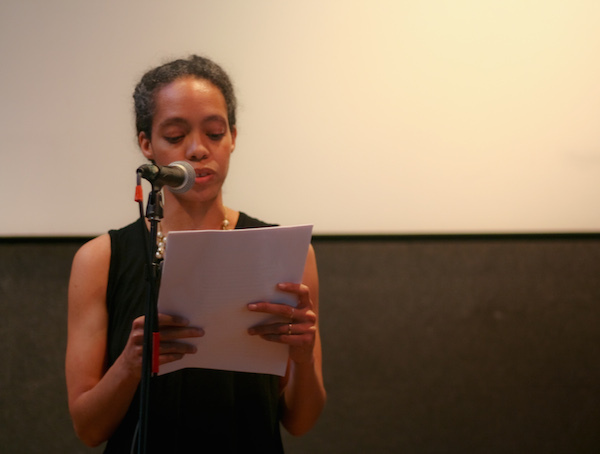 Nicole Terez Dutton reads from a manuscript of prose poems. 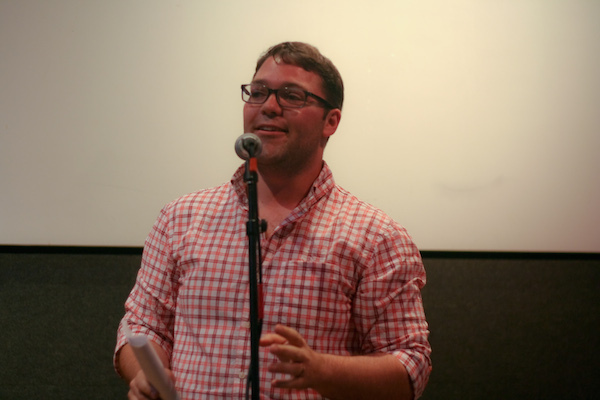 Daniel Evans Pritchard reads his confessional essay. Thanks to everyone who made it out, especially (of course) Amy, Nicole, Jeremy, and Dan. And if you couldn’t make it, you can check out the videos here. I hope to see you in October when we close out 2014 with our autumn reading—more details soon! 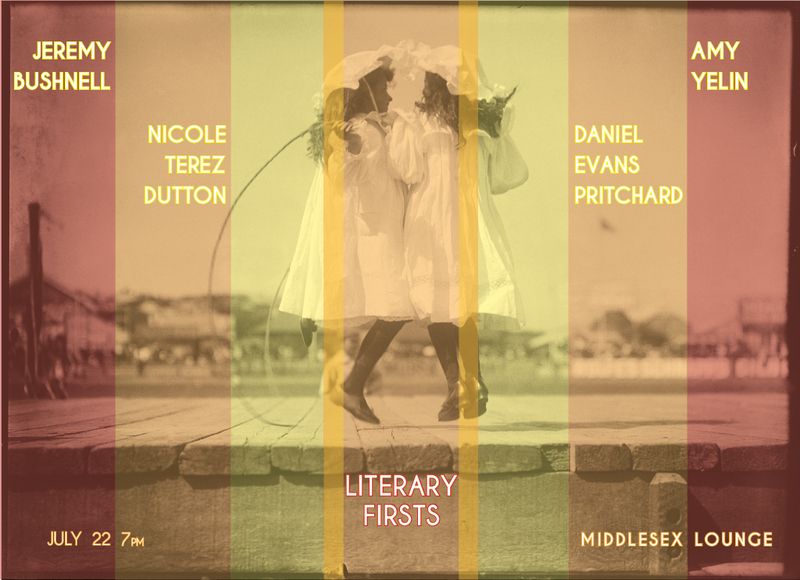 See you tonight at Middlesex Lounge for Jeremy P. Bushnell, Nicole Terez Dutton, Amy Yelin, and Daniel Evans Pritchard! 7pm, 315 Mass Ave: be there! Amy Yelin is a peace prize. 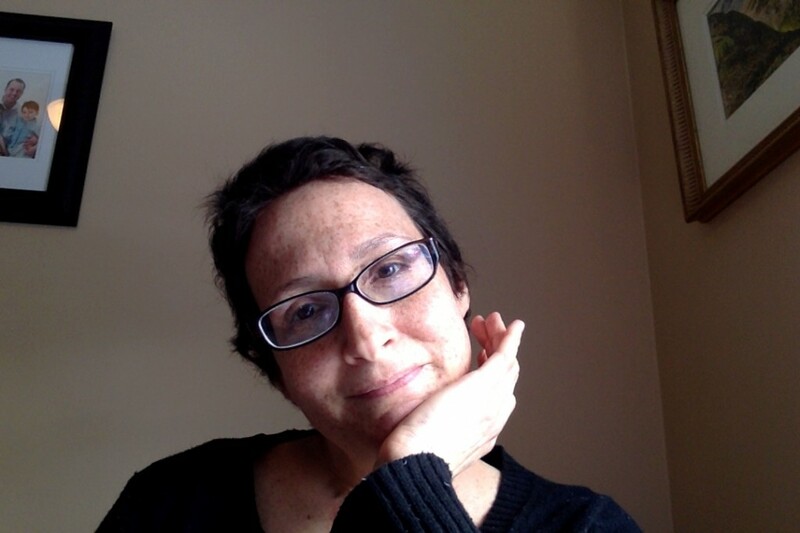 Amy Yelin is a Pushcart Prize nominee whose articles, essays, and author interviews have appeared in The Boston Globe, The Boston Globe Magazine, The Missouri Review, The Writer’s Chronicle, Literary Mama, The Gettysburg Review, and other publications.“Torn,” originally published in The Baltimore Review, received a notable essay mention in The 2007 Best American Essays anthology. Her work also appears in the anthologies Mamas and Papas and Tarnished: True Tales of Innocence Lost. She is the recipient of scholarships from the Norman Mailer Writer’s Colony and the Prague Summer Program, and more recently a fellowship from the Sustainable Arts Foundation for a residency at the Vermont Studio Center. She lives in Arlington with her husband and two boys. 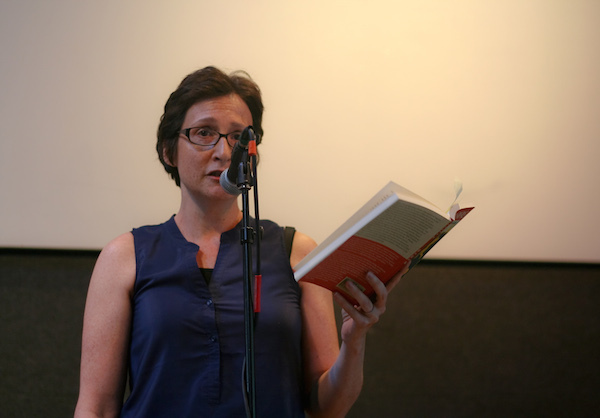 Amy is the essayist for the July 22 reading. Not that I’m opposed to red, white, and blue in July, but summer in Boston puts me more in mind of red, yellow, and orange. Popsicles, sunburn, sand–perhaps a sultry reading. So meet me at Middlesex Lounge on Tuesday, July 22, at 7pm. I’ll bring the entertainment: Jeremy will bring the fiction; Amy will bring the non-fiction; Nicole will bring the poetry; and Daniel will bring the confessional tale. You are currently browsing the Amy Yelin category at Literary Firsts.